The women and men of the UCSF Police Department are committed to making our campus a safe place for you to live, work, study and visit. We strongly believe in the principles of community policing, and have partnered with agencies throughout San Francisco to enhance the safety and quality of life at UCSF. We also recognize that all members of the campus community share in the responsibility of maintaining our safe environment. To that end, our website provides relevant and practical information to help you prevent and better respond in the event of a crime or public safety emergency. UCSF's alerting and warning service for students, staff, faculty and affiliates with official UCSF IDs. 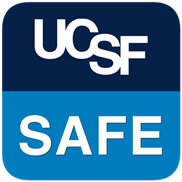 UCSF SAFE is your one-stop shop for public safety information for the UCSF community.